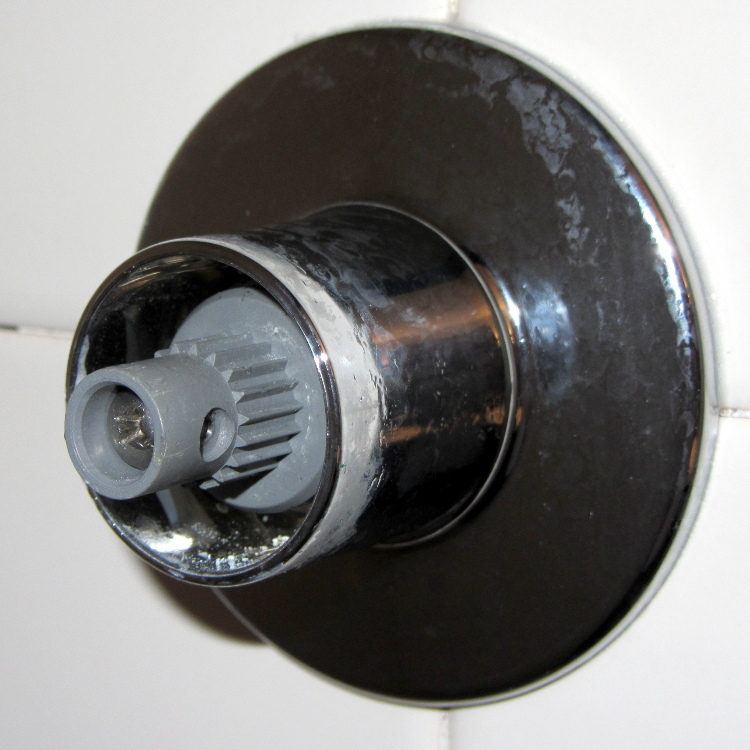 Some years back I replaced the shower stall faucets; they’d lasted about half a century, which is good enough. The new faucets were American Standard Cadet/Colony (their choice of name, the current Colony valves seem similar) with a nice, smooth exterior. Of late, both handles had become slightly loose and I finally got around to tightening them. The handle setscrews accept a 5/64 inch hex key and pop easily off the stems, revealing the splined plastic (noncorrosive!) 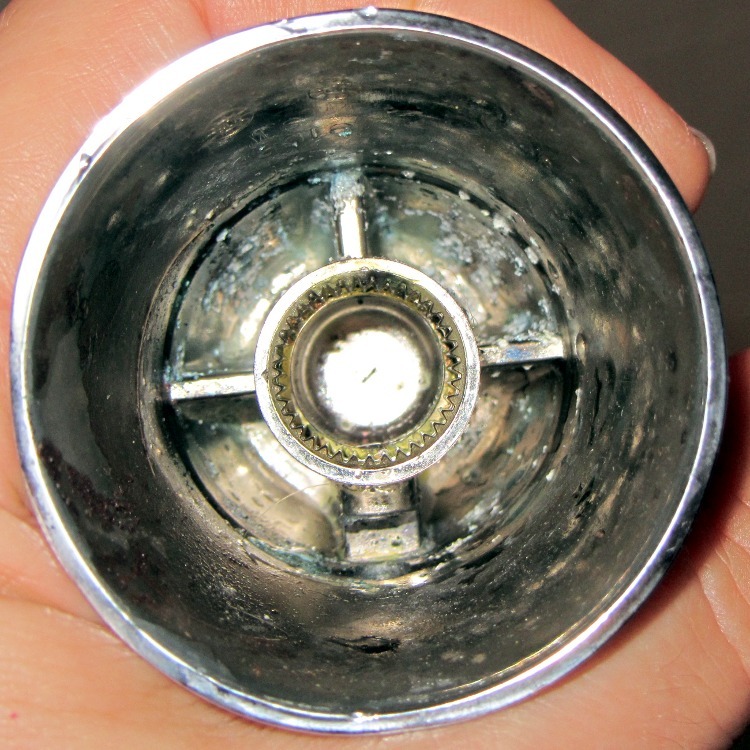 mount on the valve stem. The Philips screw in that is what’s loose and allows the whole handle to wiggle just a bit; tightening the setscrew doesn’t help. Of course, tightening the screw in the cold water stem tends to open the valve, so you must firmly wedge the splined mount. I’m sure there’s a special wrench for that, but I just held it tightly; next time I’ll try a strap wrench. One would ordinarily dose the screws with threadlocker, so as to never have to endure this dance again, but these screws have coarse threads that engage another plastic doodad that engages two wings on the splined mount. So I guess I must retighten them twice a decade or so.